It's really nice that they come in a little storage bag when you're not using them. In fact, after they have dried off, I put them right back in here and store them in my glove compartment in my car so I never forget them. Kahtoola has a really good reputation so I really had an interest in trying these. The concept is very simple, put these on over your shoes and they give you extra traction to keep you running in any conditions. The quality of the product is quite good and is very easy to get on and off with the push of your hands. Once on, they do not move around at all. There's no worries of these falling off and I've put them through the ringer on the trails as well as the roads with no issues. They have 10 spikes that grab the ice when you are running. One thing I like is that when I'm running with them, I don't feel them on the bottom of my shoe and they also don't dig into the side and top of my shoes. They are quite comfortable. Frankly, you barely know they are on except when you hit the ice and the spikes grab into the ice. 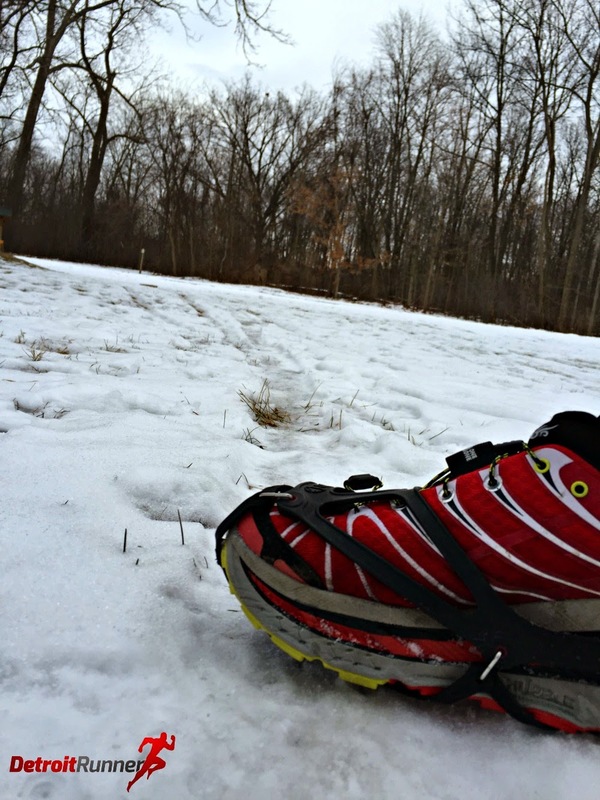 I also have a pair of YakTrax that I know many runners use during Winter. There are some key differences that I saw with YakTrax. First, NANOspikes work nicely in the snow as do YakTrax, however, NANOspikes are more comfortable on your feet and you don't feel them so much on the bottom of your feet. Second, NANOspikes don't collect snow on the bottom when running in them. Even when I finished an especially snowy run with them, there was no snow at all under my shoes after my run. The biggest and best advantage I can see to the NANOspikes is when running on ice. I could not believe the kind of traction that these give you on the ice. I never felt like I was going to slip when running on ice which gives me more confidence when out in tough conditions. 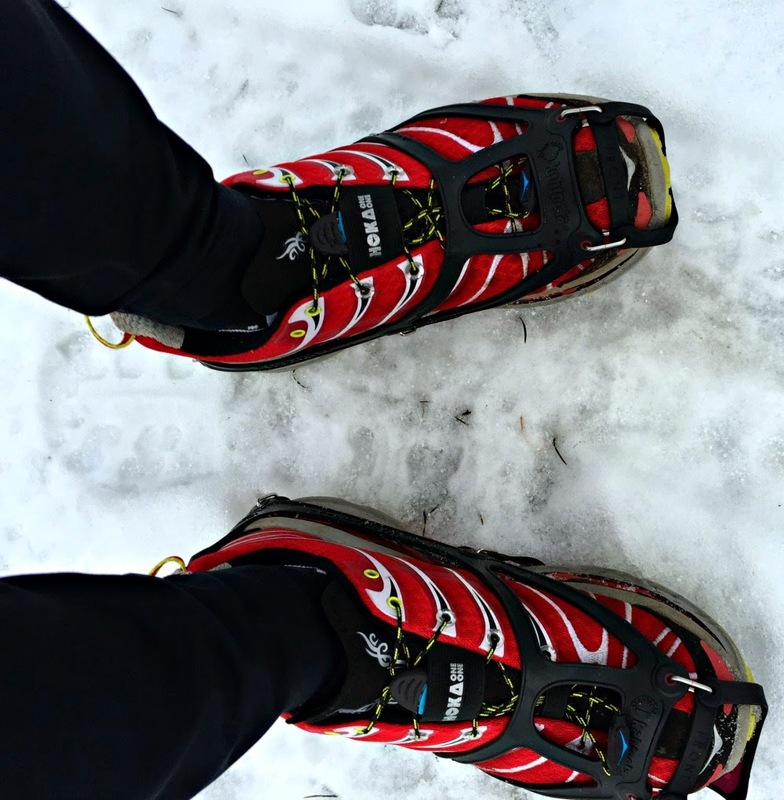 You can see below how they fit over my Hoka Stinson trail shoes. As I said, they are very comfortable. NANOspikes - keeping me safe! If you are looking for something to keep you running outside this Winter, this is it. These are something to have in your Winter running arsenal. They retail for $49.95 on their website. Disclosure: I received the Kahtoola NANOspikes in exchange for this review. All opinions are my own and I was not required to give a particular opinion other than an honest one. 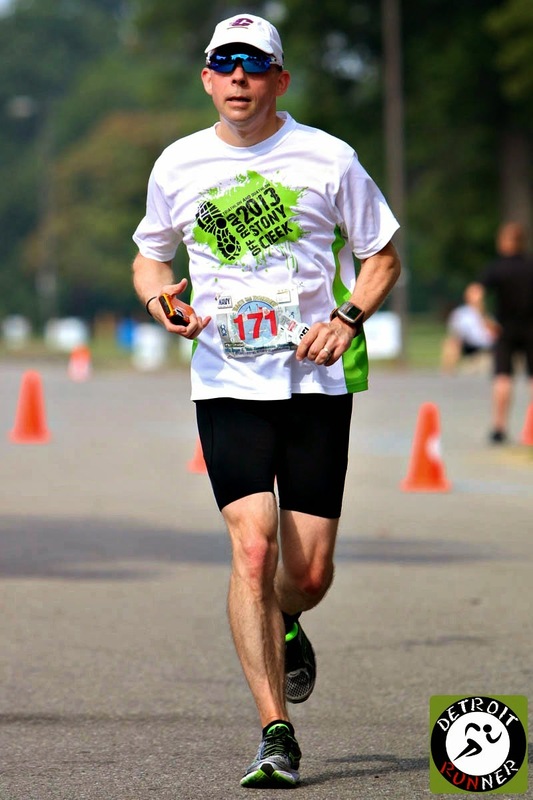 As many of you know, I'm an ambassador for Gone for a Run website. The website has tons of awesome running stuff to purchase and periodically I review their merchandise. 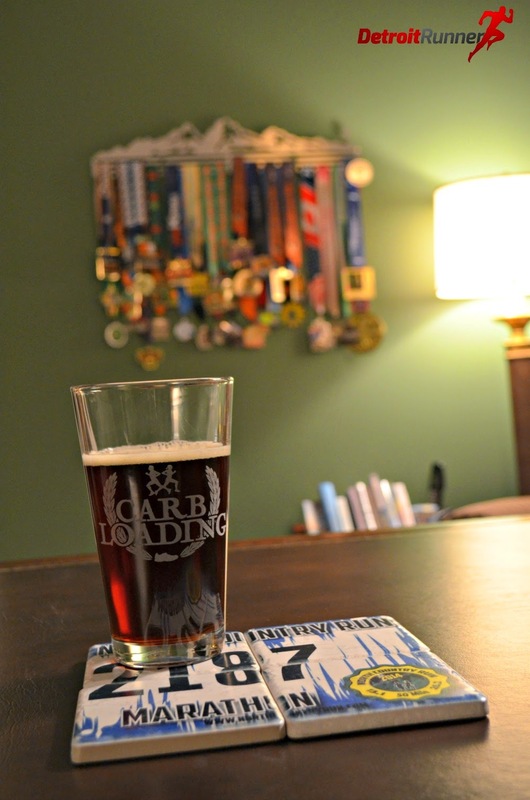 This time around I chose to review their Race Bib Coasters. This was a really fun one to review. They could not have come at a more perfect time as I had the last week off of running so I filled that time with some beer drinking - my other favorite activity. It gave me a chance to use the Stone coasters and formulate my opinion. I decided to have them make my North Country Marathon bib into coasters. How awesome is that? In this case, they make four stone coasters from the bib. The process was really simple. Scan and email them your race bib when you order them and they make it into coasters. A couple weeks later and you've got custom coasters. The coasters are stone and well made. They have cork bottoms to help protect your furniture. Each coaster is a 4" x 4" square. As you can see above, they don't come out exactly like the bib but they are made of stone so you can't make them perfect. I thought they came out really nice! They pair well with the Gone for a Run beer glass that I did a review on last year as you can see above. 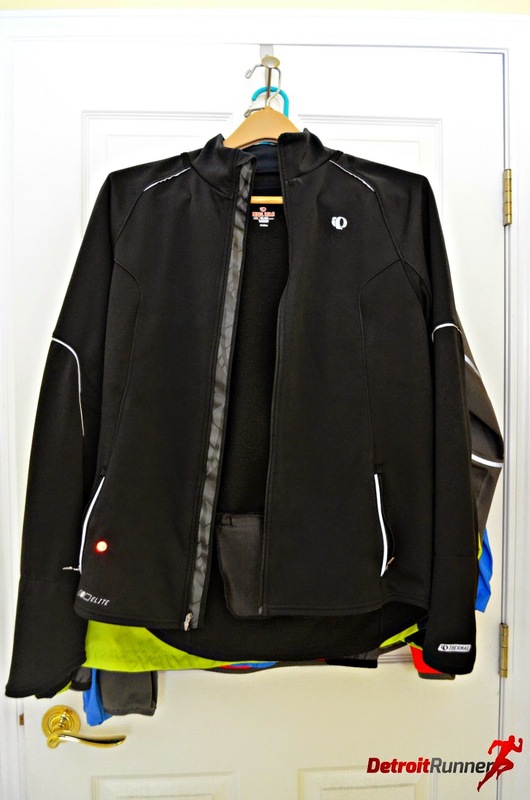 This was another one of my favorite running items that Gone for a Run sells. 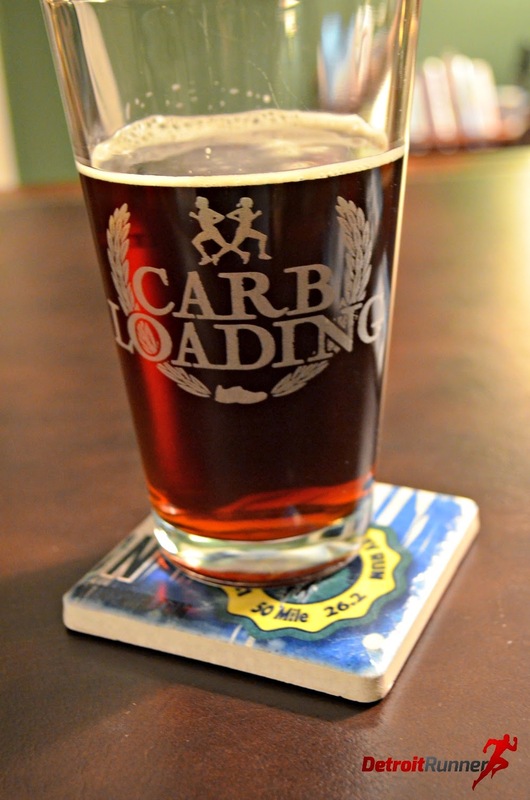 The size of the coaster is perfect for a beer glass, beer bottle or can, hot coffee mug - whatever you want to use it for to protect your furniture. I really love the fact that I can see one of my favorite race bibs on a daily basis. 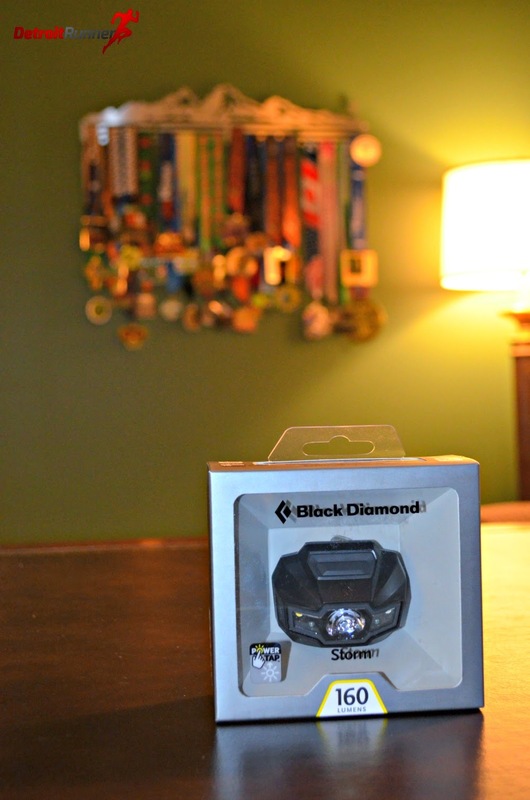 I think it's one of the best running gifts someone can get for that special race you want to always remember. They retail for $39.99 and will last you a lifetime. Disclosure: I received a complimentary Race Bib Coaster from Gone for a Run in exchange for this review. All opinions are my own and I was not required to give a particular opinion other than an honest one. 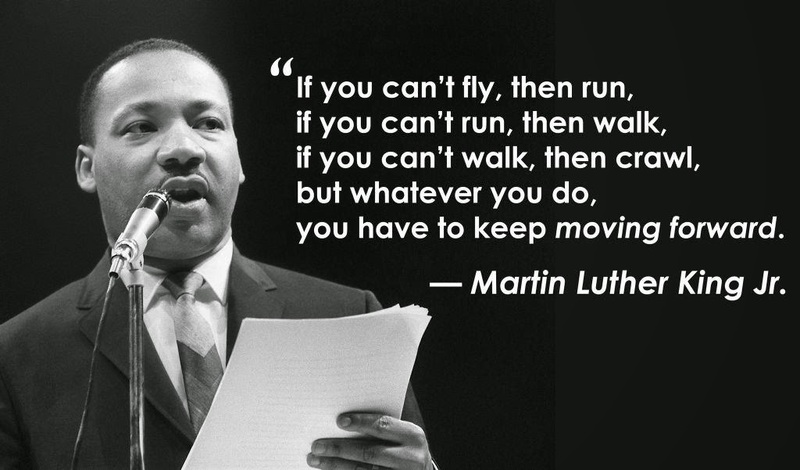 Yes, I know the quote is not about running but it sure works for endurance sports - so inspiring! Ok, I'm not really injured(I don't have pain while running) but I will say that my hamstring has been tight and my adductor muscle(inner thigh - groin) is starting to give me feelings of the potential to be hurt. I can feel it when not running and that's not good. Last year I had a similar issue with my adductor and I did strength and stretching exercises to fix it but it was much worse last year. I've been doing some of these exercises all year but I did slack on them unfortunately. So......in an effort to prevent an injury, I'm going to be proactive and made the decision to not run for seven to ten days. Do I hate not running? Yes, but I don't want to get injured and since it's January and I don't have any distance races on my schedule until April, this is a great time to take off and work on strengthening my legs so I can get back to 100%. I'll then ease back into running and build my distance back up again. I'll plan to do weight training, yoga, stretching, and maybe even some biking to keep me from going crazy. Haha! 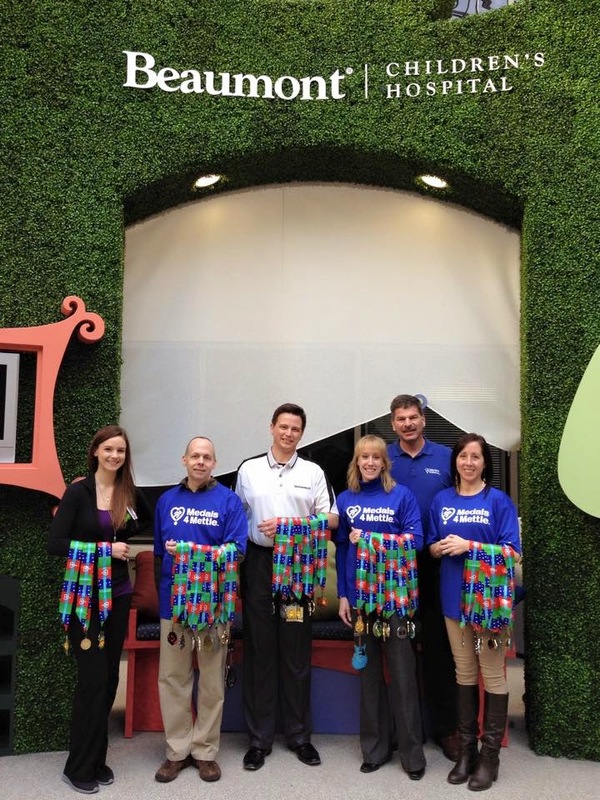 Tuesday afternoon I volunteered with Medals 4 Meddle to give away medals at the The Children's Hospital at Beaumont. 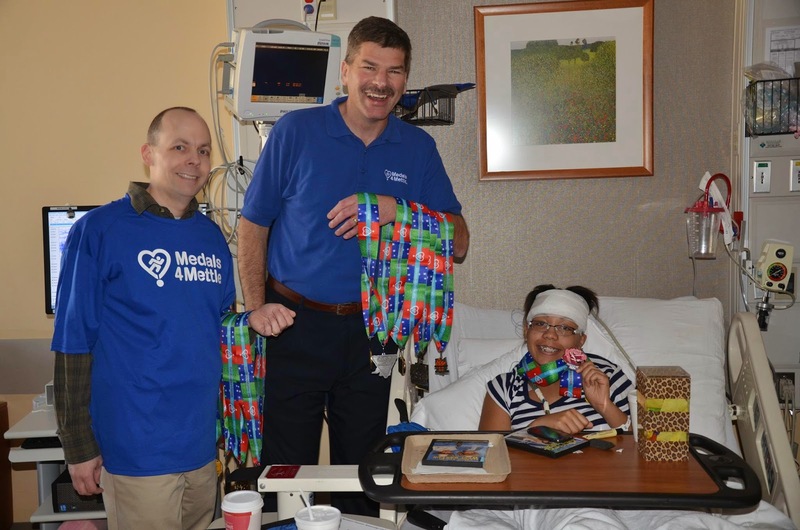 For those of you that don't know, Medals 4 Meddle is an organization where you donate your earned finisher race medal(half, full, triathlon) to the organization and they re-brand the ribbon with their charity ribbon and give them away to kids in the hospitals. We got to give away numerous medals to the kids and it was great to see the smile on the kids faces for making them the "hero of the day". 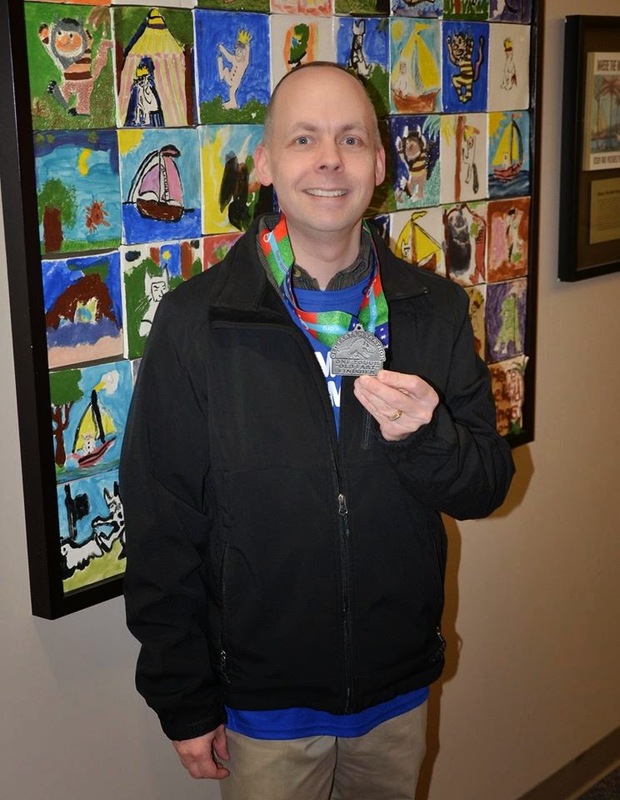 Honestly, I'm one that really has a hard time giving up my medals that I worked hard for(I'll work on that this year more) but it is a great organization and seeing them go to kids is awesome. I was glad I got to experience it. A happy girl with her new medal! As we were giving out the medals, one of the nurses there said to me, is that your medal? Joe was laughing so hard because the medal was from the "Old Farts marathon" haha! We had a good laugh at my expense! If you are in the Detroit area, there is a chapter here run by Joe Burns. 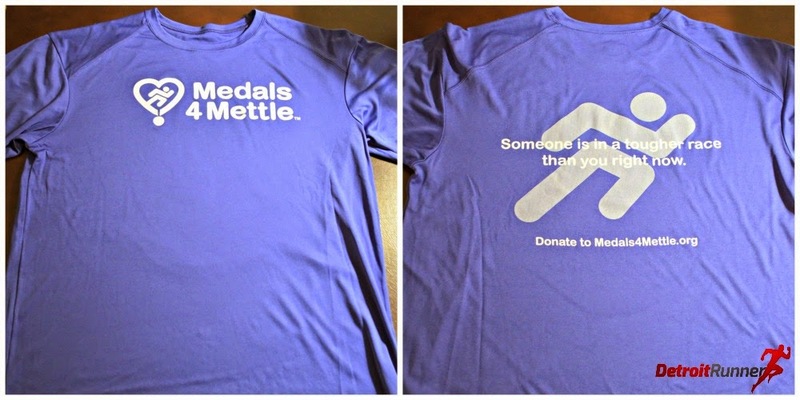 If you are interested in volunteering or giving your medals away in this area, you can reach him at joe.burns@medals4mettle.org and he can give you more information about it. Otherwise, you can check the website for a chapter in your area. It was a great experience and so fun to give the medals to the kids and I look forward to doing it again. I got myself a new headlamp. Can't wait to try it. So bright! Essentially the lights are used for running or walking at night to provide visibility to keep you safe. As most of you know, I run in the very early mornings midweek and the majority of the year it's dark when I run. 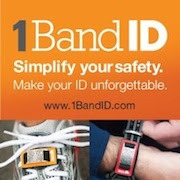 This means I'm always looking for new products to help keep me safe. I opened up the light so you could see that it's just two small watch batteries along with the top and bottom that screw together. It's actually very easy to change out the batteries. The little film to the left was around the batteries to help you get them out easier. They come with an earth magnet so you can attach them anywhere on clothing when you run. For my first run, I attached them onto my Winter running jacket near my pockets. Unfortunately, the place I put them, I knocked them slightly and lost one on the first run. Actually both of them fell off on the first run but I was able to only find one. While the magnets appear strong, after that happened, all I did was think about not hitting them so they wouldn't fall off again. For the rest of my runs, I used the one remaining and attached it to my water bottle that I run with daily. That seemed to work better as I didn't have any chance to hit it off and it seemed to stay in place better. While they are bright, in my opinion, they are also too small. You do get two that come in a package but really, you would need more if you want to be seen by cars. I didn't feel it was safe to just run with these but if you coupled it with some reflective gear or headlamp would help it. Personally I think they are better suited for walking where there is less chance of the item falling off your clothing. 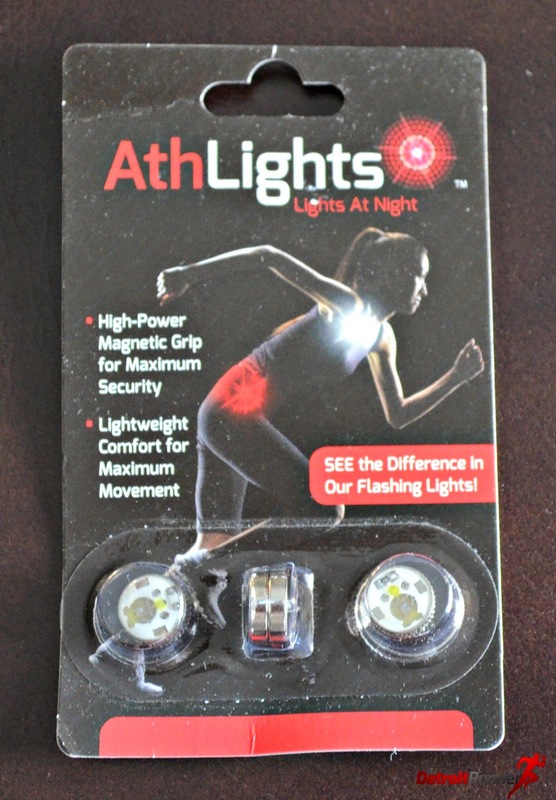 If you are interested in learning more or purchasing them($9.99 retail), you can visit AthLights website directly. Disclosure: I received the AthLights in exchange for this review. All opinions are my own and I was not required to give a particular opinion other than an honest one. 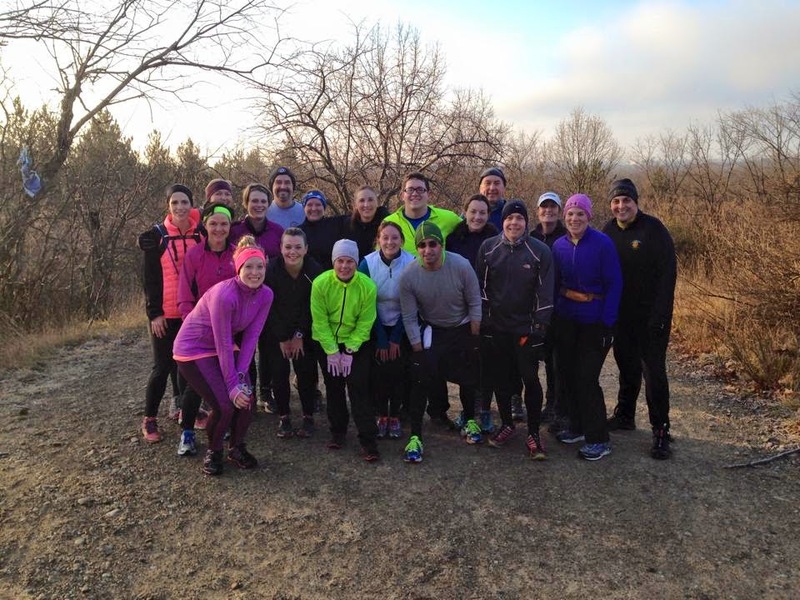 On November 18, I started a new Facebook running club for Michigan runners called Michigan Running Club. 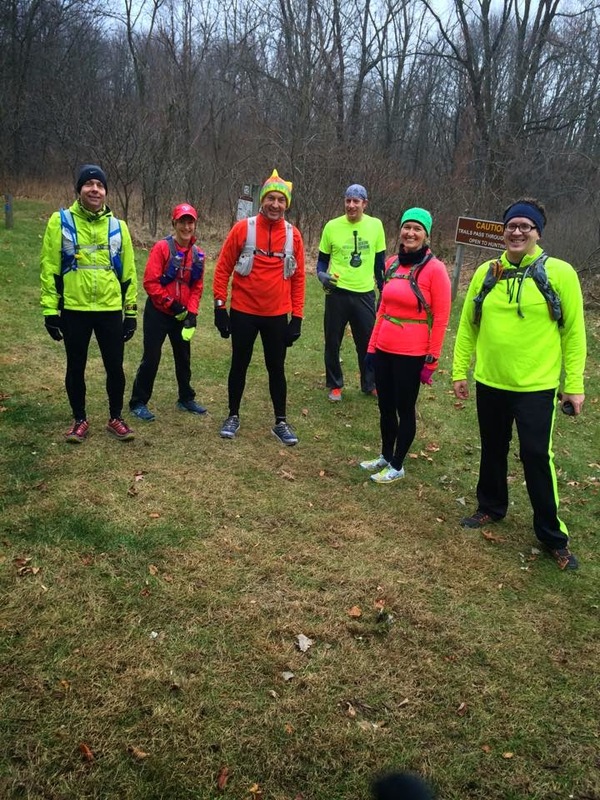 I was not sure if anyone would even be interested in belonging to it since there are so many options for running clubs in the area but felt it was a great way to meet other runners in the area and be more social when it comes to running. 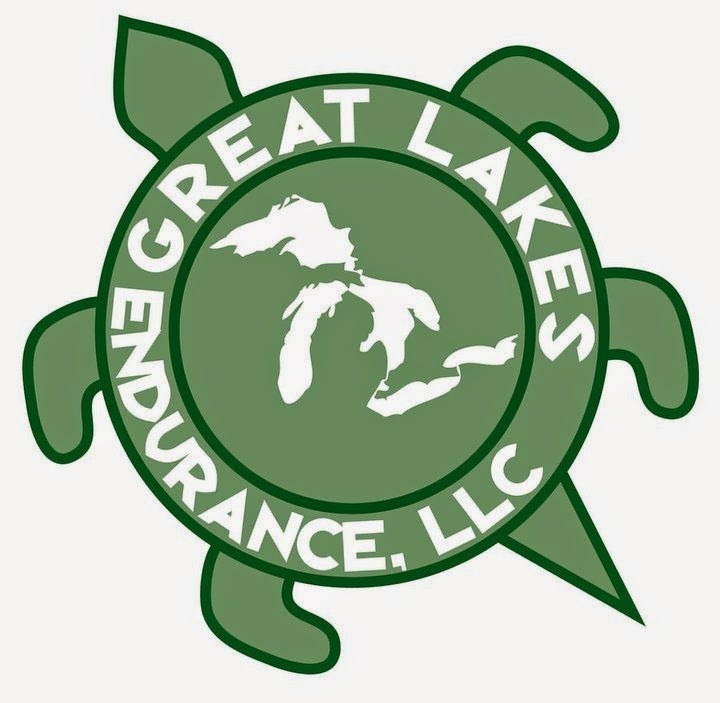 The group is open to runners that live in Michigan as well as runners that have ties to Michigan. I have it open to the whole State so that we can also get others from around the State. 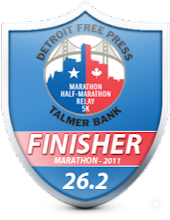 This is helpful so that we know about races or events all over the place rather than just in the Metro Detroit area. The purpose of the group is to talk about running, get together for group runs, talk about races in the area, meet up at races, ask questions of other members for advice or just to get some support for your running. It's been fun running the group and we have grown quite quickly and stand at 494 members at this time. My goal for the group is not to try to get really large but it's grown faster than I thought. The goal is to just socialize with runners that want to talk running. I've met many people from the group at group runs which is a great way to not only run a new route but enjoy a run with new people. We have a few upcoming events in Detroit and Novi for a chance to meet some members and meeting in person is the best way to get to know people in the group. It's a closed group so you need to be approved to be added. Group trail run at Waterloo - photo by Jennifer M.
Group trail run at Stony Creek Metropark - photo by Walter K.
It's a fun group and you will enjoy being involved in it. 1 50k - my first at Oil Creek and boy what an incredible route this was! It's also the first time I've run in Pennsylvania so I added a new State too. 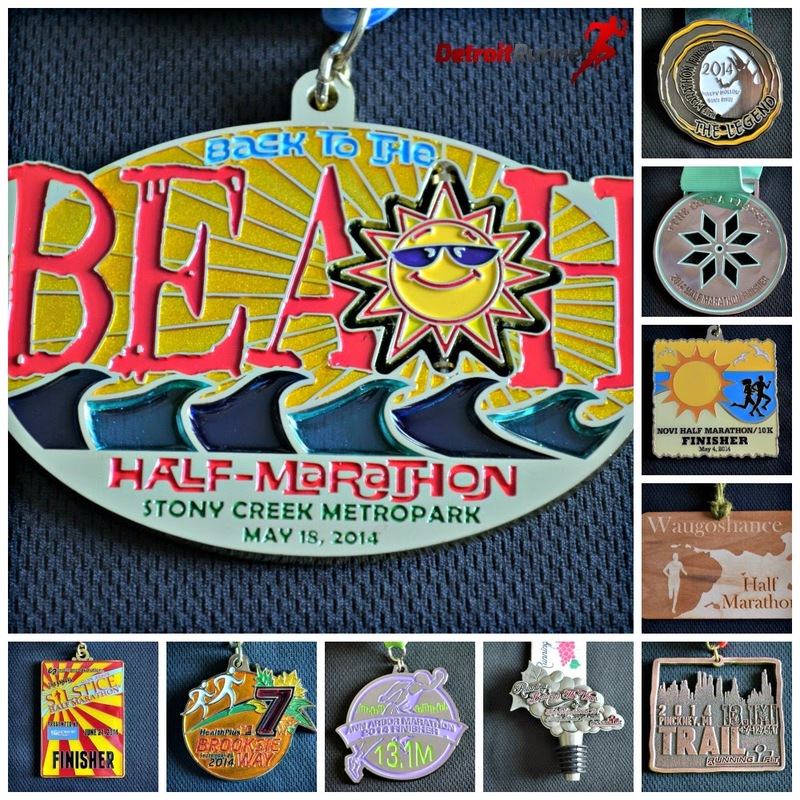 10 half marathons - it was a big year for the half marathon distance. It also put me at 30 half marathons overall. It still remains my favorite distance! 3 double races - a 5k then a 10k - first year I've ever run a double race. Why not go for three, right? 1 Duathlon at Race for the Border - my first! I was blessed to be a race ambassador for Kona Running Company last year running all their races including all their doubles. I was also a Headsweats, Gone for A Run, and Fit Fluential ambassador in 2014 as well. 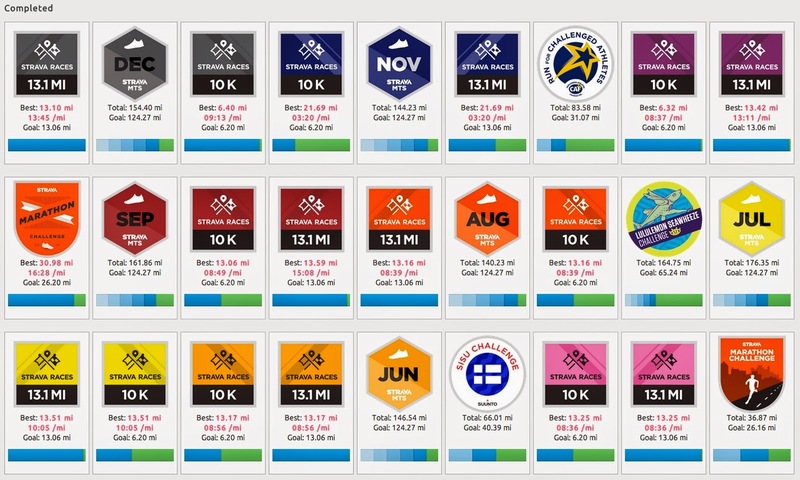 I ran two race series this year including the Kona Grand Slam which was comprised of four races(see picture above) and also the Thirsty Three series by Running Fit. Both were excellent series! 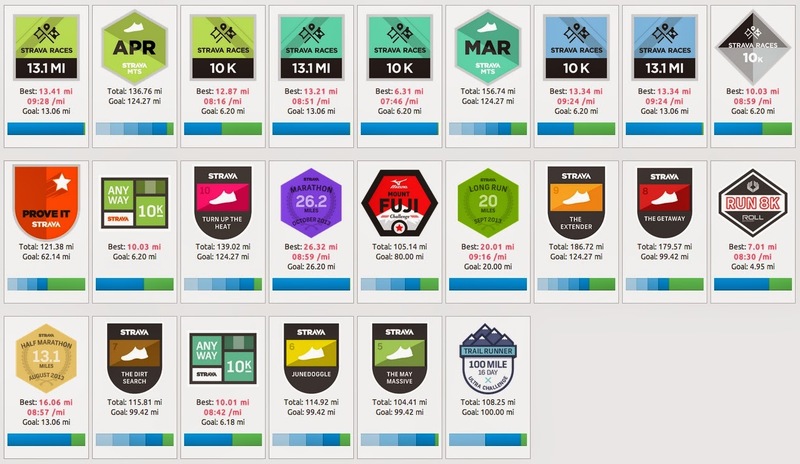 Overall, I ran 1,665 miles - the most I've ever run in a year thanks to 50k training. A large part of my miles this year were on the trails. I'd have to say at least 75% were on the trails this year and that will continue into 2015. Many of them were also with my buddies Kevin and Dave which makes them fly by and I'm thankful to have them through training. I ran my largest elevation gain ever for the year - about 48,000 ft according to Strava. 2.5 times more that I've ever done in a year. For some reason, Garmin said I ran 57,779 ft in elevation gain but I'm not sure why the difference. 5,459 ft of elevation gain at Oil Creek alone! 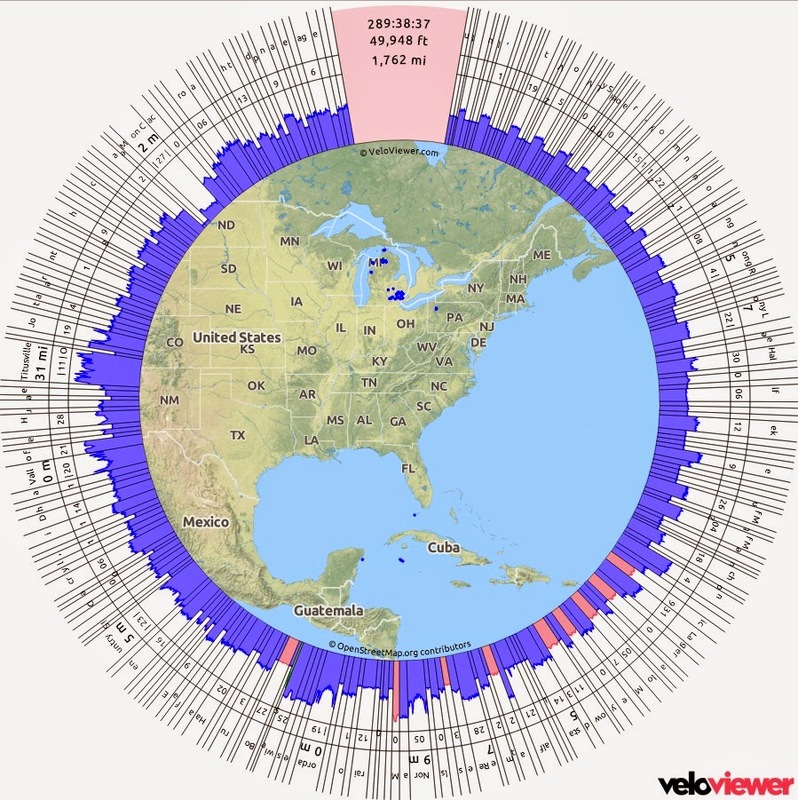 I also really got into Strava this year and tracked all my running and biking on it. Here are the challenges that I completed and partially completed. These challenges are a great way to keep you motivated throughout the year. I wrote 24 gear reviews on all kinds of great running gear including some excellent shoes. I want to give special thanks to all the companies that allowed me to review their gear. Finally, here's a summary of my entire year of running and biking. 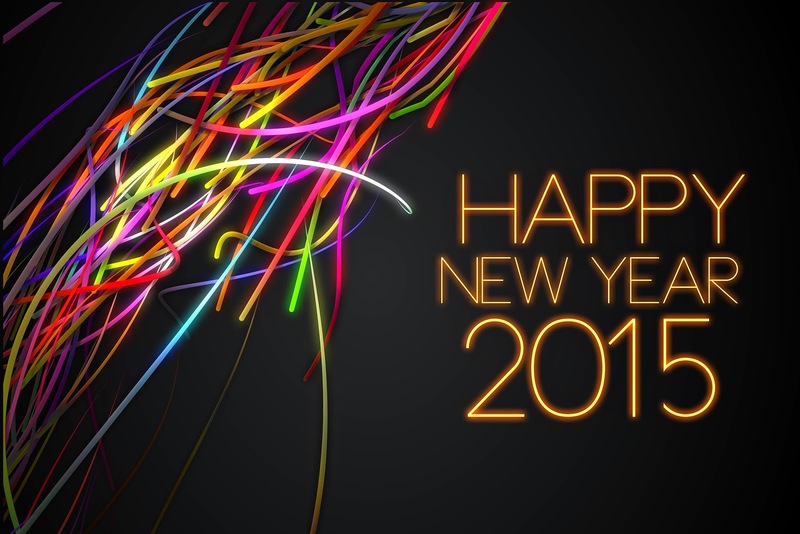 I'm not sure what 2015 will bring but I do know I will likely run more in 2015. I hope all of you had a great year of running as well.